Selecting the right freight forwarder in Melbourne for your business is complex. There are many variables to take into consideration. You want, need, to trust the company you select will deliver freight on time in optimal condition at a competitive price. Deliveries are often time sensitive so, you need leading freight forwarders based out of Melbourne who offer the best service and results. Every business has different expectations from a freight forwarder. And, depending on what the shipment contains and its destination, expectations can change. When you use freight forwarders in Melbourne such as Stockwell’s you trust them to move and track your freight while in transit. With so many freight forwarders offering their services, how do you choose the right company to suit your needs? Here are some things to consider when choosing the company to take care of your shipping needs. Do you specialise in my type of cargo? Who is responsible for organising the relevant documentation? How much experience the company has will tell you if they can handle any problems when they arise. You need a company that will help you with any issues that can occur en route with customs, routes and warehousing. This will ensure there are minimal problems when shipping goods internationally. When you are importing from overseas, you need a company than can organise transport using air, land or sea and offer the right advice. They should understand Australian customs and quarantine requirements to negate any potential issues should they arise. It is impossible to control everything when shipping freight into Australia from across the world. So, you need a company who designates one point of contact to help you comply with all the rules and regulations. A single point of contact means they can solve any problems before they escalate. This will minimise your costs and stress levels. When sending freight across the country or overseas, you need to be able to track its progress. The freight forwarder you use should use advanced freight tracking tools. It is important they know where your goods are at all times. When looking into freight forwarding companies, ask for references. Well-established freight forwarders will be happy to provide you with customer references. It is one thing for a company to tell you about their customer service and how they will handle your freight but talking to their clients directly will provide assurance. You want to be able to talk with their customers to find out how they find that company’s services. It is important to find out if their customers are happy using each company you consider using. And, remember, you do not just want references from new customers, but from ones they have been dealing with for years. Customers that use a freight forwarding company all the time will give you a clear indication of their operations. How they treat others is how they will treat you and your company, and the freight you need them to move. Some companies may have customer testimonials on their website. And there are review sites online. Always check out what others have to say about a company you want to use. When looking for a freight forwarder, ask what type of insurance they offer. Most companies insure your goods from the start of the voyage to the end. And, ask if they include insurance in the total cost of the contract or if it is an add on with an extra cost. Ask how much they will insure your goods for. You want to know who is liable if anything goes wrong while your goods are in transit. 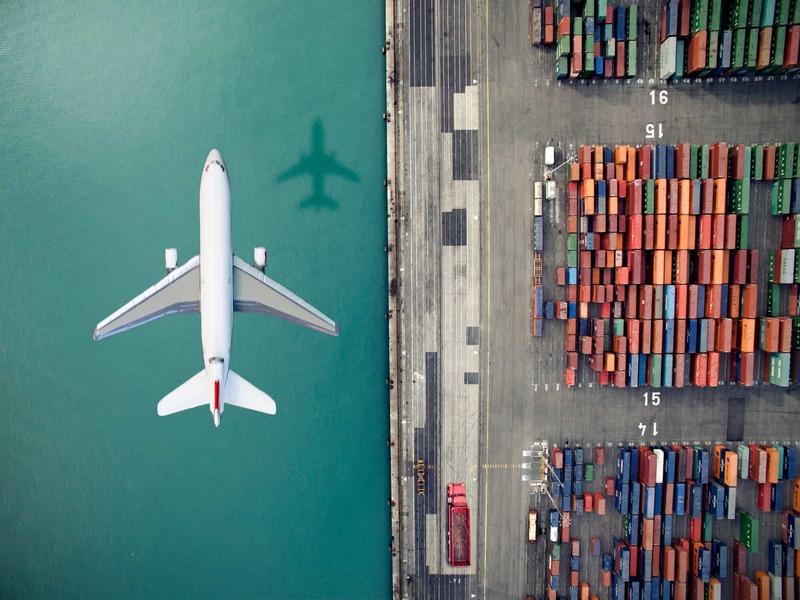 Picking a reputable freight forwarder, you want to know if they have a network of offices and partners in other Australian states and countries. Depending on the type of freight and where it is going, you want to know there are options. Do they offer a range of transport options such as by air, sea, land and rail? Do they have warehousing options to store freight before and after shipping? When a company has these options, it is a sign they have a good network of partners. Good freight forwarders have a lot of connections to make moving freight a seamless operation for their clients. You need to know this before you hire a company to transport your goods. When moving freight, you want the company you choose to offer different types of services. You may need these to get your freight delivered on time to the right receiver anywhere in the world. You do not want to hand over your freight to a company that has a poor financial background. Check into the company’s financial stability. The last thing you need is to trust a company with financial problems to ship consignments of your goods. It can cause all sorts of problems such as delivery delays if the company cannot pay its bills on time. This has the potential to damage your own reputation and cost you more in extra costs as well as being a stressful situation. Consider how each freight forwarding company handles crisis situations. It is inevitable that something will go wrong at some stage. You want to deal with a company that provides solutions and cares about meeting its commitments as much as you do. Good freight companies notify you when problems arise to let you know how they will solve the situation. You need a company that will be proactive and efficient. You want to partner with a company that delivers top customer service. The company you choose should deliver what they promise, be responsive and flexible whenever needed. They should also be prompt in their response to your emails and phone calls. Top freight forwarding companies will go out of their way to make sure they meet all your needs. Will they treat you as a valued client? One of your top priorities will be reliability. You need to rely on your freight forwarding company to deliver your goods on time, on budget and in good condition. There is nothing worse than a company that makes all the right promises then fails to follow through. This can cause you all sorts of nightmares as you are relying on them to keep their word. When they fail you, there is a knock-on effect. This will cause you to fail your own customers and potentially damage your business reputation. With your goods shipped via land, sea or air, you need to know the freight forwarder’s safety record. Look at the reliability of the transport used and their standard operating procedures. Talk to the company about who they will use to ship your goods to their destination. Check their safety certifications and records over their years of operation. Choose a company that complies with the regulations and laws for all countries they operate and do business in when exporting and importing goods. It is also important they follow all safety regulations. A company that ignores the importance of safety is unlikely to look after the goods they are shipping for you. All shipping companies have different pricing structures. Where you have a cheaper quote, it could be because there will be extra costs added for things like insurance and tracking freight. More expensive quotes may have all costs factored into the total cost. Always check for hidden costs. Ask for a complete breakdown of what fees, costs and charges make up the total price before entering into a contract with any particular company. There is so much to consider when choosing both national and international freight forwarders with so many companies to choose from. They will all offer something different and have varying company values. With this advice, you can choose the freight forwarding company that best suits your needs. Shipping Freight? Need a Quote? Call for a quote from Melbourne’s leading freight forwarder, Stockwell’s on 1300 786 468.